LJUBLJANA - A Slovenian-Chinese virtual laboratory for high-performance computing was launched on Monday at the Ljubljana Faculty of Computer and Information Science, the first project of a memorandum on multi-year cooperation between the two countries' scientists. This memorandum was signed in Beijing last April by the faculty, the Chinese Academy of Sciences, Chinese supercomputer manufacturer Sugon and Slovenia's Arctur as part of an achievement of the Slovenian-Chinese economic cooperation commission. 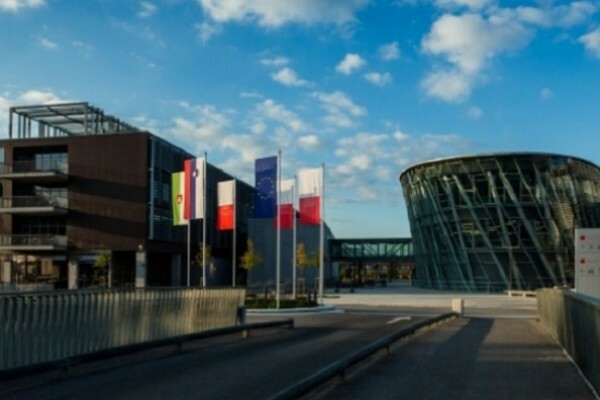 The cooperation will among other things focus on additional support for the Orange program, developed by the bioinformatics laboratory at the Ljubljana faculty, according to the Slovenian Press Agency STA. Orange is a tool for data analytics with a user-friendly interface, which is intended to be additionally supported by data analytics with supercomputer performance. One of the main goals is to develop new methods and a program system for the detection of patterns in large quantities of biomedical data and climate data from computer simulations. Citing the Slovenian Public Administration Minister Boris Koprivnikar, the STA report said the results of research will be used to eliminate concrete issues faced by science, industry and modern society as a whole. A part of the Orange program is already being developed for Slovenian drug maker Lek to enable it to develop biopharmaceuticals faster. Arctur is the leading service provider of supercomputing in Central Eastern Europe, striving to bring innovative and user-friendly IT solutions to businesses, state and public institutions, research institutions and NGOs. According to Arctur director Tomi Ilijas, the STA said, the importance of the cooperation with Sugon is huge. While it is very demanding to maintain the exascale-class computers developed by Sugon due to high electricity consumption, this technology is very useful as it takes research and development to another level, Ilijas said. Sugon vice-president Ying Guo said the project made Arctur the European centre for Sugon, from which all Europe-related activities would be coordinated.